You'll look and feel special in this gold and gemstone necklace from Roberto Coin's Venetian Princess collection. 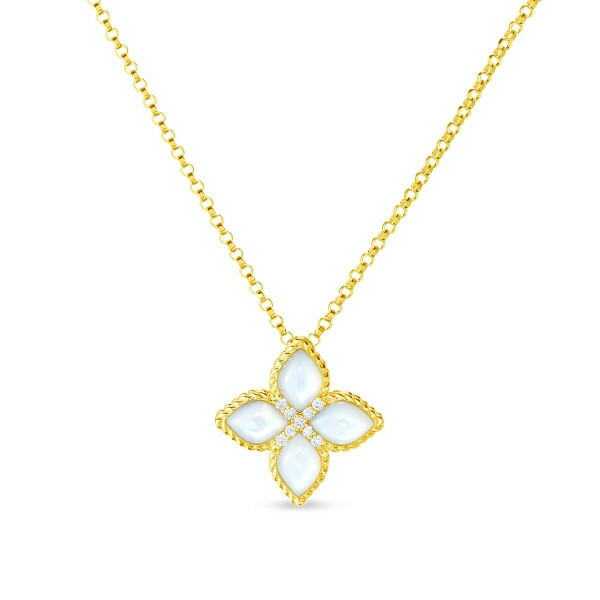 Crafted in 18K yellow gold, a floral motif pendant features four petals filled with Mother-of-Pearl trimmed in precious metal rope. A diamond X at the center elevates the elegant piece of jewelry. An 18" chain is included. This Roberto Coin pendant necklace is regal and radiant.